As a grandparent you have a unique, and very important, relationship with your children and grandchildren. Studies have shown that you are in a position to make significant contributions to the health and well-being of your family. Even in the face of changing technologies and new challenges, you hold the key to important information your grandchildren need to know. We are honored to be able to share some of these keys with you. 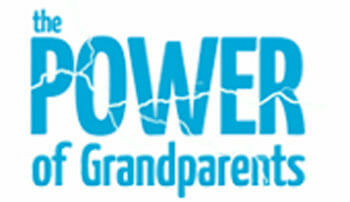 Grandparents can be a powerful influence in the lives of their grandchildren. Grandparents are often people that a child respects and admires and does not want to disappoint; they are looked up to and their opinions are valued. Because of this, you have many opportunities to provide support and guidance on a variety of issues – including the use of alcohol, tobacco, and other drugs. You are not alone. According to an AARP survey, 44 percent of grandparents see a grandchild each week; 45 percent of grandparents talk once weekly (or more often) with their grandchildren; and approximately 54 percent of grandparents want guidance on how to discuss sensitive topics, like drug, with their grandchildren. From early childhood on, children are presented with a confusing picture of the world when it comes to drugs: some drugs are legal at certain ages (alcohol and tobacco); some are “medicines”; others are illegal. A grandparent, among other things, can help reinforce the no-use messages their grandchildren hear from parents and school’ they can help support a grandchild’s decision not to use drugs; and they can help sort out all the information their grandchildren see and hear about alcohol, tobacco and other drugs. Talking with children about illegal drugs is not as difficult as most people think. But it is not as simple as delivering one message (“Don’t do drugs.”). As kids age, their attitudes about drugs become more and more sophisticated. While young children tend to view drugs in simple terms (“good” vs. “bad”), pre-teens and teenagers come to understand that not all drugs are the same. Drug-related attitudes and a child’s perception of the risk of taking a drug have a direct influence on decisions to use drugs, and are influenced by a wide variety of factors: age, gender, peer and family influences, among others. The messages and warnings parents use with children when they’re young will not work with children as they grow into adolescents. This is also true of grandparents. It is important that the grandparent’s message “grows” with the grandchild. Ongoing communication with children about drugs is critical. As their attitudes about drugs change, kids need guidance and advice from their parents and grandparents. That’s why one-time conversations about drugs will not do the job. For grandparents who don’t know what to say or aren’t sure where to start, the ability to listen intently to children as they talk about drugs is a great strategy to employ. Start by asking open-ended questions about the issue of drugs, and listen. Click below for more information for the following age groups. At this age, children are eager to know and memorize rules. But while they’re old enough to understand simple concepts, they’re not ready to take in complex facts about tobacco, alcohol and other drugs. Explain that even medicine can be harmful if it’s not taken the way it’s supposed to be. Illustrate this by reading warning labels. And if you are taking prescription or over-the-counter medications in the presence of a grandchild, only take the amount directed or prescribed. Admonish grandchildren never to put anything into their mouth if they don’t know what it is. Kids this age can’t tell the difference between candy and medicine. Teach them never to take medicine, candy or other things they might put in their mouths from anyone but their parents or someone to whom the parent had given permission- like a grandparent, teach or doctor. Keep medicines, vitamins and other similar products out of reach. At this age, kids are taking an increased interest in the world beyond home. They may start seeing ads and shows depicting alcohol or tobacco use andhear people talking about drugs. Explain what alcohol, tobacco and drugs are. Talk about how some people use them, even though they can be harmful. Use “teachable moments” while watching television, overhearing a conversation in a restaurant, or reading a book, to talk about how drugs can be harmful or dangerous. Praise your grandkids for taking good care of their bodies and avoiding things that might be harmful. At this age, one out of every seven kids has been offered drugs. Now is the time to help children prepare to make the right decision. This is also an age when they are very curious about how the body works, and are ready for more complex information about drugs. Talk with your grandchildren about why people may be attracted to drugs, and discuss with them how to say “no” when offered drugs by friends. Take time to learn about alcohol, tobacco and other drugs so you feel prepared to talk with your grandchildren about them. If you feel confident your knowledge is accurate, talk with your grandchildren about specific drugs and how they might affect the user’s body and life. Don’t worry about having all the facts. It’s more important that you express how you’d feel if your grandchild used drugs, and the impact it could have on the family. Be prepared to answer questions about whether or not you ever used drugs, alcohol or tobacco. The likelihood that a teen will smoke, drink or use illegal drugs increases almost 500 percent. The percent of teens who have close friends who use marijuana increases 1000 percent. At this age, kids are trying both to fit in and establish their own sense of identity – and they are increasingly exposed to drugs and drug use. They are more likely to see older kids doing drugs without seeing immediate consequences, so they are less likely to believe a “black-and-white” statement that drugs are bad. Many kids this age overestimate the number of their peers who do drugs, and may think they have drugs to fit in. Talk to your grandkids about the immediate distasteful consequences of drugs (i.e., tobacco and marijuana use can cause socially undesirable things like bad breath, discolored teeth, or smelly hair and clothes). Talk with grandkids about what their world is like, what they value, and their future goals. Then ask them how engaging in unhealthy or risky behavior, like using drugs, would impact their dreams. Talk with them about how drug use might hurt friendships or positive opportunities in their lives. At this age, teens already have had to make decisions about drugs. They are making distinctions between different drugs and their effects; between occasional use, regular use and addiction. And they are increasingly seeing peers use drugs. Youth in this age group are starting to focus on their future, so tell them how drug use can ruin their chances of getting into a good college or landing a good job. Be specific about the consequences of using drugs. For example, teens are ready to hear that alcohol use during pregnancy can lead to Fetal Alcohol Syndrome or other alcohol-related birth defects. They also need to know the risks of drinking or taking drugs and driving, or riding with an impaired driver.